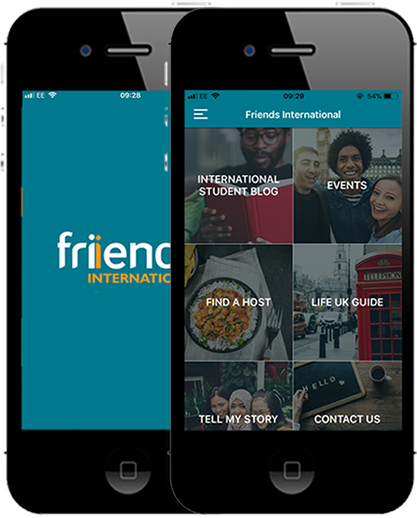 If you are new to the UK, to help you with living in the UK there is now the new Friends International App. Now available to download to your phone. Life UK – From dealing with money to the British weather, the app contains many useful hints and tips to living in and adapting to the UK. The app is perfect for international students starting at a British university, but it would also be useful for any long-term visitor to the UK. Download now for iPhone and Android devices.